We are making equality, reality. And we want you to help us. For more than a century, many groups and individuals have worked hard to address gender inequality in pay, violence, parenting and education. Our leading organisation, the National Council of Women has been heavily involved in this fight since 1896. But progress has been slow and patchy. We once led the OECD in gender equality but over time we have slipped and we are now ranked 7th. 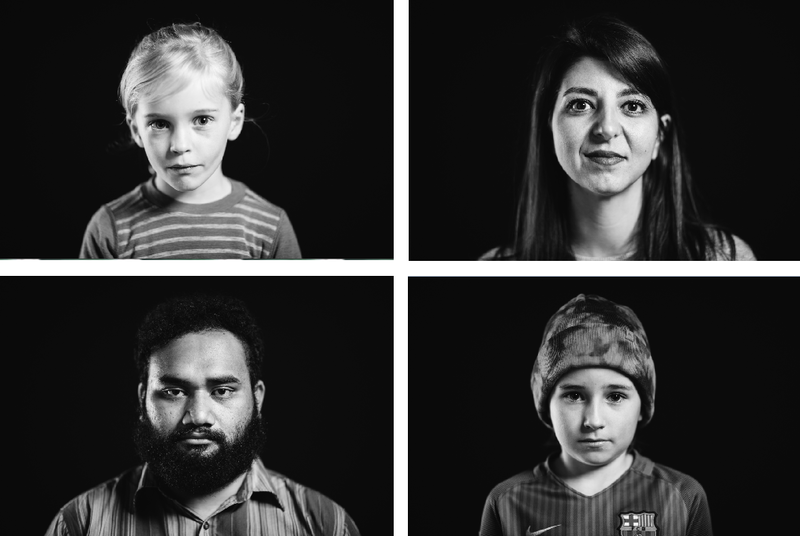 We’re determined to make equality, reality for all New Zealanders We’re kicking off with three new pieces of work that will hold New Zealand to account. With your support, we will increasingly put the spotlight on the cultural and societal norms that enable gender inequality to grow. 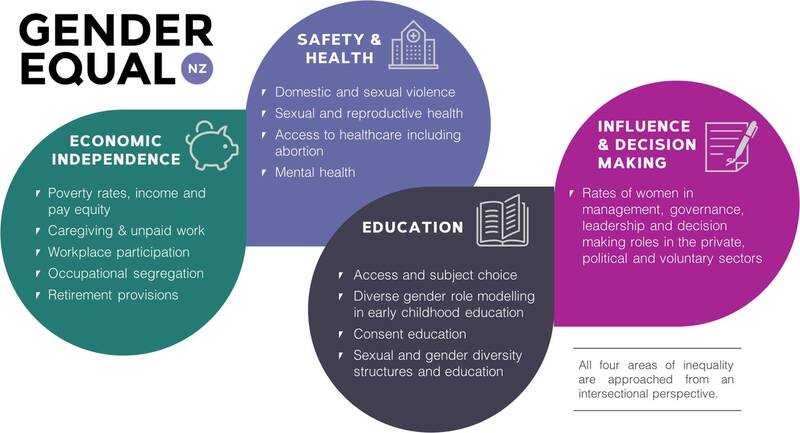 Gender Equal NZ is focused on four key areas of inequality. You can read more about the four key areas of inequality in our paper Enabling Women’s Potential. You can view our infographics on gender inequality within the four key areas of inequality here. Our award winning national Gender Attitudes Survey, carried out with Research NZ in late 2017, has given us a snapshot of New Zealanders knowledge of, and attitudes towards, gender equality. This comprehensive, ongoing survey will be repeated regularly to allow us to measure shifts in attitudes over time. The good news is most New Zealanders recognise gender equality is a fundamental right for all of us. But we are seeing a pocket of New Zealanders that hold outdated and old-fashioned views when it comes to gender stereotypes and roles. These old-fashioned views mean that women and gender diverse people continue to lose out in the Four Key Areas of Inequality: Education, Economic Independence, Influence and Decision Making, and Safety and Health. While strong ideas about what boys and men should be like harm New Zealanders of all genders. Find out more about the results here. The Gender Dashboard will collect, collate and analyse data to build a shared understanding of the status of all women in Aotearoa New Zealand. We are working with expert partners to illustrate key areas of inequality from an intersectional perspective. Providing accurate information about the current status of all women will allow the New Zealand media to tell more accurate stories about gender, contributing to a cultural shift toward a gender positive culture. It will assist in developing a shared understanding of gender inequalities with the New Zealand public, and provide community and advocacy groups with information to assist with campaigns towards gender equality. Using data from the public sector, research institutions and non-government sources, the data will be regularly updated to measure the steps taken by government and other groups to achieve gender equality. This will allow evaluation of the effectiveness of government policies. You can find out about the progress of the Gender Dashboard by following our regular blogs.